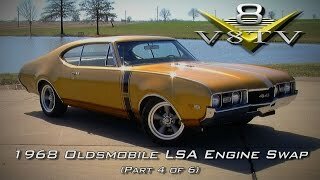 http://www.v8speedshop.com - 314.783.8325 - This 1968 Oldsmobile is a great looking car that drives and handles well, but the owner wanted more power and modern-day drivability. Did we mention he wanted a LOT more power? 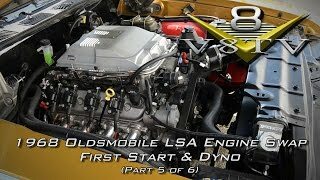 This is the intro video to a 6-part series where we install a modern supercharged 6.2 Liter GM LSA Connect & Cruise engine and transmission. 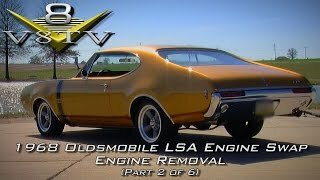 Follow along as we cover the whole process in this series. 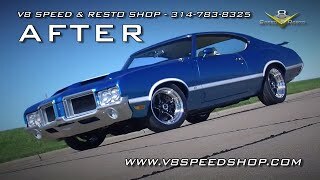 You can contact us at the V8 Speed & Resto Shop at http://www.v8speedshop.com or at 314.783.8325 for any of the parts you see in this video, or to have us convert your ride for you! 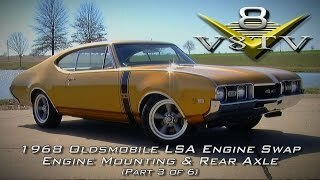 This is part 2 of a 6 video series in which we upgrade a 1968 Oldsmobile Cutlass with a modern supercharged GM LSA 6.2 liter Connect & Cruise engine and transmission. 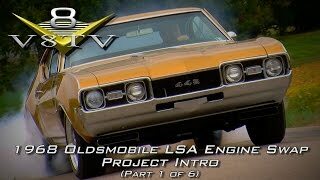 Follow along as we cover the whole process in this series. 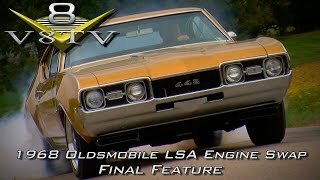 You can contact us at the V8 Speed & Resto Shop at http://www.v8speedshop.com or at 314.783.8325 for any of the parts you see in this video, or to have us convert your ride for you!